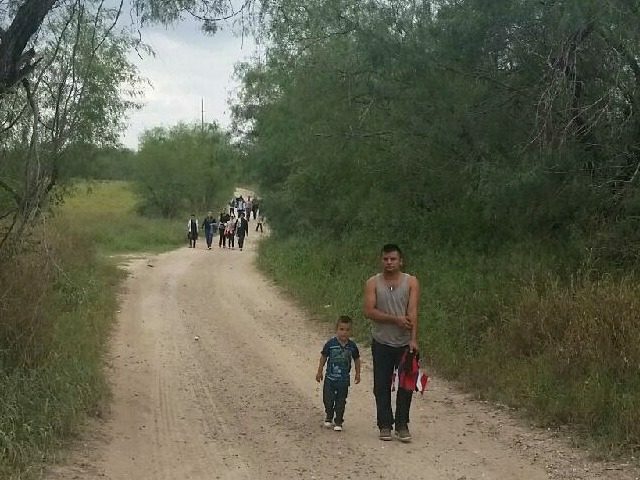 GRANJENO, Texas — The ongoing flood of iIllegal immigrants from Central American countries continues to escalate despite the claims of the current administration that the border is secure. 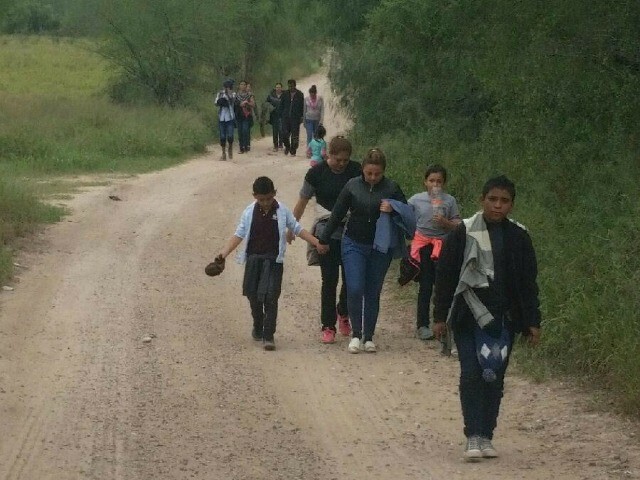 Breitbart Texas obtained a series of photographs from concerned citizens that show groups of illegal immigrants walking up dirt roads moments after having crossed the Rio Grande River border with Mexico. In total, the citizens encountered 21 illegal immigrants in a matter or minutes. The photographs were taken almost immediately after the citizens arrived to a privately owned ranch near the border. 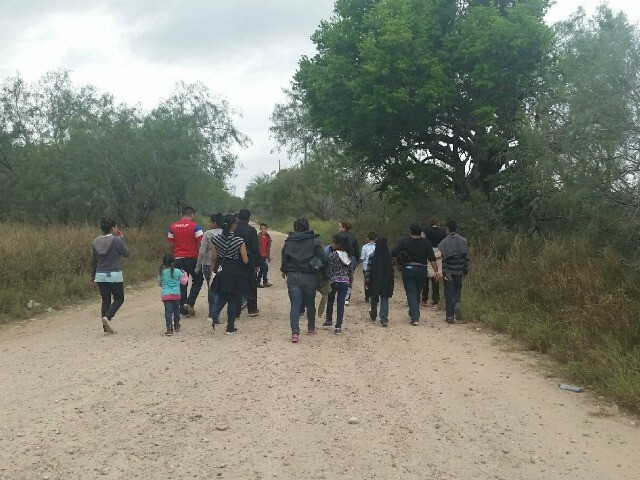 The area where the concerned citizens encountered the illegal immigrants is close the private property that Breitbart Texas recently visited. 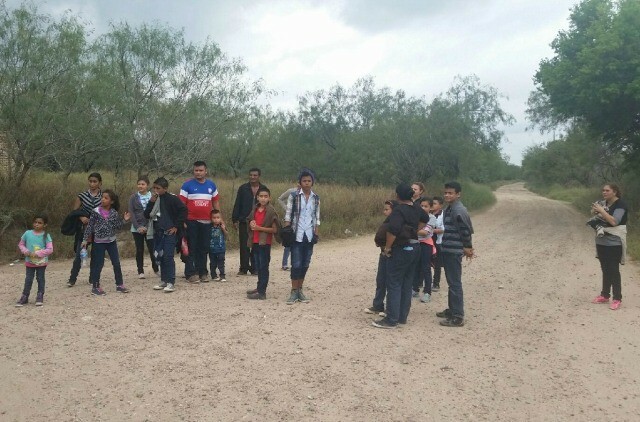 During that visit, Breitbart Texas encountered 43 illegal immigrants who had just crossed the Rio Grande. 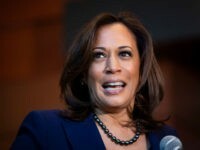 The discovery of the ongoing waves of illegal immigrants comes at a time when U.S. Customs and Border Protection has been forced to acknowledge a record setting uptick in human smuggling after months of claiming the trends were below 2014 figures. Recently, Breitbart Texas reported that members of the National Border Patrol Council had accused CBP of trying to keep the record-setting detention numbers out of the public eye until after the 2016 Election. The area where the citizens encountered the 21 illegal immigrants and the private property where Breitbart Texas encountered the 43 illegal immigrants is an area used by the Gulf Cartel to move illegal immigrants from Central America and countries other than Mexico across the Texas border with Mexico. The criminal organization uses an area in Starr County to smuggle Mexican nationals, convicted criminals and previously deported aliens. It is in that same area where the Gulf Cartel moves the bulk of their drugs–taking advantage of lack of physical border barriers and the decreased presence of law enforcement. Brandon Darby is managing director and editor-in-chief of Breitbart Texas. Follow him on Twitter and Facebook.